More about Marimekko Kivet Black Bathmat Made from 100% cotton terry and featuring a modern dotted print, the Marimekko Kivet Bath Mat is both a functional and fashionable addition to the bath. The super soft material will be a treat to feet while the highly absorbent material will soak up moisture following a shower or bath. Designed by the famous Maija Isola, the Kivet print is raised to offer an intriguing texture to the design. 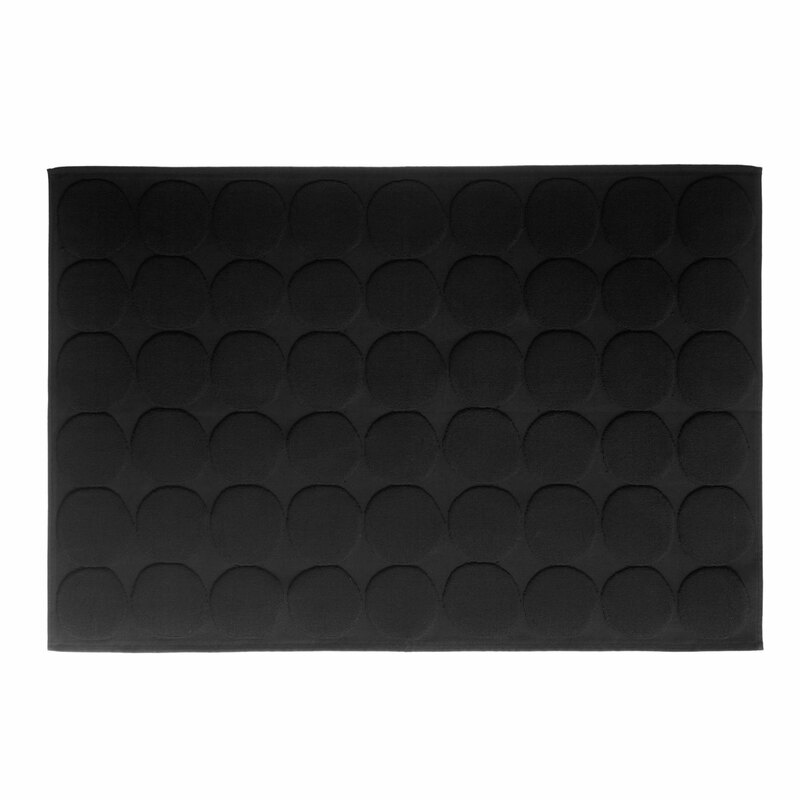 Stark black in color, this bath mat is perfect for a clean look and easily complemented by other Marimekko bath decor. The Marimekko Kivet Black Bathmat is large and thick. It serves as a beautiful black accent to the tile in my bathroom, echoing the borders and the black ceramic fixtures on the lighting. I am very pleased with it. Perfect size, good quality and stylish! ProsMatch the octagonal black and white tile floor.